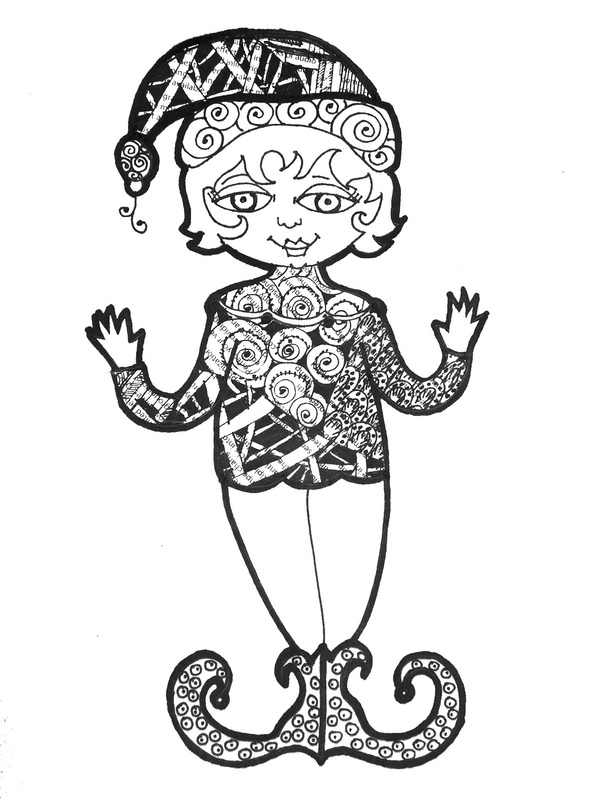 Last week I gave you an elf figure – here’s another for you to use in your collages or card making. If you want some holiday inspiration, there is a ton on Pinterest. Here is my Holiday Decor and Crafts board with links to 174 different projects, printables or ideas. A search of Pinterest will give you endless hours of surfing for creative inspiration. A year ago I was writing for Natural Life Magazine. My column was Crafting for a Greener World, and I had a few columns related to the holidays. Last year I published this tutorial for a tree topper angel or caroling figure. You can also find a bunch of ideas for eco-friendly gift wrap in another article, and some crafty gift ideas of DIY craft kits. Here’s my tutorial for one of my favorite holiday projects. This is how I use up all of last year’s received cards, and make evermore ornaments for my holiday tree. Now that we have a house, I see more than one tree in our future, so more ornaments will help. Over on the ScraPerfect blog you will find many beautiful ideas for holiday cards, scrapbook layouts and crafting. One of my favorite tutorials ever is for my vintage-image transferred Family Tree Ornaments. I won’t be making more this year (thanks to moving) but I absolutely intend to go hog wild next year with my stash of vintage images for ornaments. Happy Holidays and Happy New Year. We’ll be back in the new year with The Principles of Design, how to find your gateway art form, and more ideas for igniting and expressing your creativity. Much love to you and your family.